The default character set for MySQL at (mt) Media Temple is latin1, with a default collation of latin1_swedish_ci. This is a common type of encoding for Latin characters. You can also change the encoding. utf8 is a common character set for non-Latin characters. Changing your database collation is not supported by (mt) Media Temple. However, we have provided instructions here for your convenience. You can change the character set and collation of your databases and tables through phpMyAdmin or from the command line. You may want to back up your database before making changes. 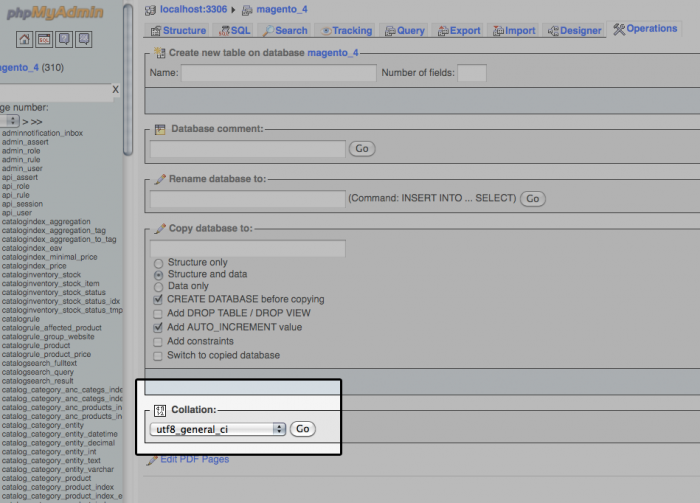 Please see this article for instructions: Export and import MySQL databases. Select your database from the list on the left. Click on "Operations" from the top set of tabs. In the Collation box, choose your new collation from the dropdown menu. utf8_general_ci is the most common utf8 collation. 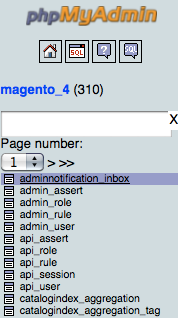 To update a database table, select it from the list on the left. 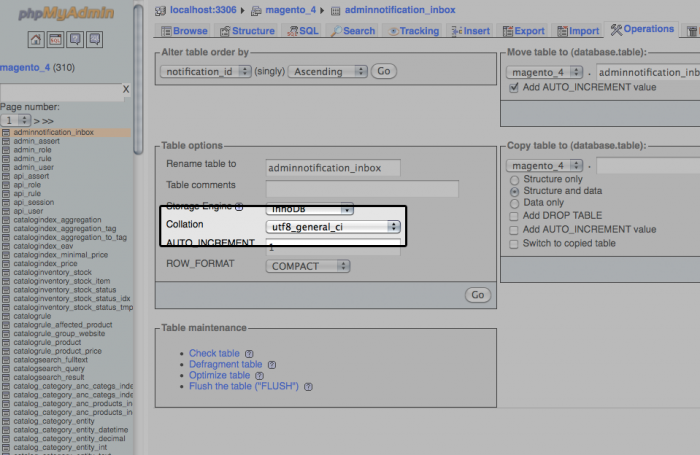 In "Table options," under "Collation," choose your new collation from the dropdown menu. Enter your database password when prompted. For either of these examples, please replace the example character set and collation with your desired values.